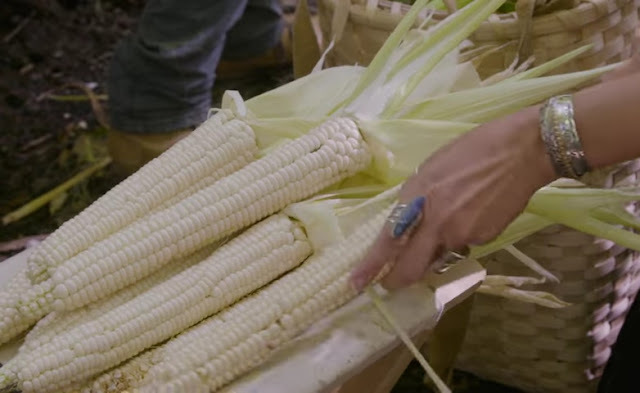 Rare strains of corn, beans, squash and other native crops might have been lost forever if not for the protection efforts of the Potawatomi and Ojibwe tribes and the Jijak Foundation in Hopkins, Michigan. Thanks to the salvation efforts of these tribes and a seed-lending library, native foods are making a comeback and being used in traditional ceremonies. In Hopkins, Michigan, Native Americans of the Pottawatomi and Ojibwe tribes are bringing rare strains of vegetables back from the dead. This video from Great Big Story explains how traditional crops that were on the verge of extinction are now thriving. "Four years ago ... we only had a half-a-canning jar, a very small amount of seed," the Jijak Foundation's Kevin Finney says in the video. "We've grown it every year since, and now we have enough that we may have a hundred bushels full. That's enough that, next year, we could plant six or seven acres of just this corn." Responses to "How Native American Farmers Are Saving Rare Crops From Extinction"
Where can I join to help grow the seeds? Is there a way to purchase the seeds? If so how well do you think they could grow in Montana? I'm of the Little Shell band of Ojibwe and would love to grow traditional foods. Hi there i wanted to say how amazing this is to hear.Here in Wisconsin Milwaukee there is a loving friend of mind helping bring back a lot of rare native beans corns and Tobacco as well as more rare varieties of vegetables. what is this corn called? I wonder if there any other seeds you are fighting to keep. thank you for your wonderful inspiring story. If you are interested in the seeds, I would contact the group directly to see what you can work out with them. Love the idea, my Grand Mother who was Cherokee, had what was called "Field Corn" it was white corn, but it wasn't sweet. I loved it. I absolutely can't stand "Sweet Corn"